Our goal is to connect people with the best local experts. We scored movers on more than 25 variables across five categories, and analysed the results to give you a hand-picked list of the best movers in Austin, TX. 3 Men Movers is an experienced, large-scale, family-owned moving operation with a location in Austin. They specialize in homes, apartments, and high-rises, and offer packing and storage. The company is fully insured and takes pride in offering efficient, respectful service. Each customer is given a moving concierge who coordinates the move throughout. In business since 1984, ABC Longhorn Moving is a HUB-certified, woman-owned company based in Austin. Available for state-wide residential moves and full-service commercial relocation, Longhorn specializes in moving seniors into retirement facilities. They have held an A+ Rating from the BBB since 1989 and provide customers with green packing options, packing services, move planning and labeling, and flexible scheduling. Above All Moving prides itself on customer satisfaction and respectful service during local Austin, intrastate, or cross-country moves. All of their movers are licensed, trained, and insured. They offer furniture padding, professional packing, free assembly, and no hidden fees. The insured team at Advantage Moving, Inc. is available for local and long-distance moves of all sizes. They emphasize safety and reliability while moving pianos, furniture, packing, and loading. All their movers have at least two years of experience, and the company is a member of the Better Business Bureau. All Star Moving & Storage is a certified ProMover in the Austin area that serves homeowners, renters, and businesses. They have experience with military and GSA moves, senior moves, gun safes, and pianos. While they specialize in local moves, the company is available to work internationally and out-of-state. They have more than 10 years of experience and also provide warehouse storage options. Local Austin movers Apple Moving has served residents since 1991. They are equipped for moves of all sizes from condos, apartments, homes, offices, and warehouses. The company is fully insured, and is available to move specialty items including pianos, pool tables, and statues. They prioritize customer service and offer packing and storage services. Austex Moving offers affordable moving services to Austin residents and businesses moving throughout Texas. They are insured and available for same-day and emergency moves. Austex Moving takes pride in their clean-cut and friendly staff. Austin Moving Forward provides statewide, eco-friendly commercial and residential moving services. They use recycled packing material and biodegradable adhesives, and offer packing, loading, and state-of-the-art storage. The company is an Angie's List Super Service Award winner and is fully insured. Conveyance Moving + Storage is an environmentally-friendly company serving Austin residents and businesses. They provide customers with reusable eco-bins rather than cardboard boxes, recyclable packing material, and low-emissions trucks. They company is available for local and long-distance moves, including apartments and dorms, and also specializes in loading, assembly, and packing. Licensed for moves inside and outside Texas, Austin-based Copper Palm Moving + Storage works with residential and commercial customers. They have more than 25 years of experience, and have expertise in moving plan consultation, packing, assembly, and more. They have secure and climate-controlled storage facilities for artwork, hunting trophies, and more. Einstein Moving Company works throughout Texas and is locally-owned by a pair of childhood friends. They pride themselves on helping people more their homes, businesses, offices, or labs for a competitive price. The insured teams of movers also provide packing services and assembly and are available to move storage containers. Heavenly Care Moving Services is a locally-owned company offering commercial, luxury, residential, long-distance, and senior relocation expertise in Austin. They provide free estimates, green moving supplies, packing, load, assembly, storage, internal moving, and more. The company is a two-time Angie's List Super Service Award winner. Little Guys Movers serves residents and business owners from its Austin location. They have 20 years of experience with both local and long-distance moves. 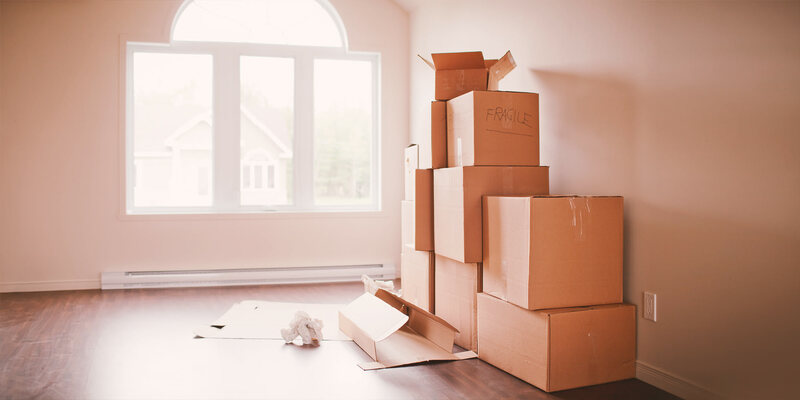 An insured company, Little Guys Movers provides packing, unpacking, in-home shuffles, senior moving, piano moving, storage, and boxes and supplies. Mighty E Moving is an Austin company that is available for local and long-distance moves of all sizes. They take pride in providing safe, damage-free transportation and specialize in piano moving. Founded in 2002, the company is licensed and insured for residential and commercial moves and storage and is also available to haul junk and brush. Founded in Austin, Moving Squad is an insured, locally-owned business. They are available for residential moves throughout Texas, including apartments, houses, multi-family units, and senior facilities. They take pride in offering affordable service and taking extra steps to protect furniture and precious belongings. The team is available to pack, load, deliver single items, disconnect non-gas appliances, and assemble furniture. Locally-owned and operated in Austin, Muscle Man Moving & Piano Experts is an insured, full-service company. They have nine years of experience performing residential moves, corporate moves, commercial moves, and specialty moves, including pianos, antiques, fine, art, gun safes, pool tables, and more. They move locally, interstate, and cross-country, and offer packing and labor-only services. Bringing 23 years of experience to their Austin commercial and residential moves, NextView Moving provides a crew of professional movers who have been screened and background checked. They are fully insured and offer packing, loading, specialty moves, in-house rearranging, and free estimates. Working throughout the Austin area, Square Cow Movers takes pride in providing transparent and ethical service to residents and commercial customers. The full-service company specializes in packing, unpacking, PODS, storage, retirement home moving, and specialty items including pianos, fine art, and pool tables. Based in Austin, Trico Long Distance Movers specializes in cross-country moves. Their shipping trucks undergo regular safety inspections and they provide residential and commercial customers with a shipment tracking option. Trico is equipped for auto moves and offers packing, crating, and storage service. Two Men and a Truck serves residential and commercial customers moving in the Austin area. They take pride in customer service and have 96 percent referral rate. They offer flexible packing services and a team of screened professional movers, as well as pet care coordination during the move. Vosco Moving offers customized moving services for Austin residents. They are available for single-item moves, van moves, and large home or office moves throughout Central Texas. The company is fully licensed and insured, and provides packing services. Word of Mouth Moving specializes in local Austin and long-distance moves. Their affordable commercial and residential service includes binding estimates, and free furniture wrapping and set up. They offer flexible moving packages, and past customers have praised their integrity and thoroughness.